PLYMOUTH, Pa. — Workers from four clothing factories used to fill Main Street with life, eager to browse window displays and spend their paychecks. 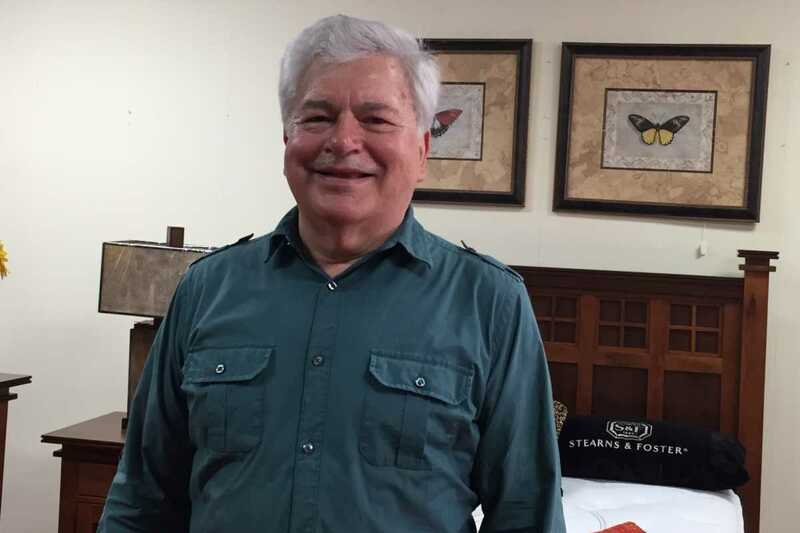 "In the summer the ladies from the sewing factory would come in on Friday to put down $20 or $30 cash on a living room set," said Jack Bednarski, owner of the furniture store that bears his surname. "They'd say, 'I want to get it by Christmas' and pay a little each week." With the textile industry long gone, lured overseas by cheaper salaries and trade deals, the best jobs for residents of this Luzerne County borough are at a nearby state prison or one of a growing number of warehouses in the valley. Empty storefronts are scattered downtown. Plymouth went for President Trump last November, as did Luzerne, one of three reliably Democratic counties that had backed former President Barack Obama and switched in 2016, sealing Trump's victory in Pennsylvania and helping to deliver him the White House. A hundred bumpy days into an administration that has taken its knocks, Trump voters interviewed in the county last week said the president has shaken Washington to its core and renewed hope of lasting change. By conventional measures, including historically low job-approval ratings (39 percent, Gallup says), Trump's opening act might seem disastrous. He has not passed a major piece of legislation. He's antagonized allies abroad. His proposed travel restrictions on Muslim-majority countries are stalled in court challenges. Trump has retreated on his demand for immediate funding for a wall on the Mexican border, backed off on promises to label China a currency manipulator, and adjusted other positions. Efforts to repeal Obamacare flopped. The president's Luzerne County backers aren't bothered. Jack Bednarski, who started his furniture store in 1973, is a Trump supporter who says sales have ticked up since the election. "The first 100 days used to be a honeymoon period for presidents, but not for him," Bednarski said. "Everybody's hammering him, especially the news media, but he's doing the best he can." Others say Trump has sent a message of American strength by bombing Syria and Afghanistan or point to his appointment of Neil M. Gorsuch to the Supreme Court, likely sealing a conservative majority for decades hence. "He's given America hope," said Bednarski, who started his business in 1973 with a lease on just 150 square feet of space. "A lot of people see the light at the end of the tunnel now. I've seen a mood change in here since the election. People are happier, they're buying more — there's less sourness." A Washington Post/ABC News Poll on April 23 found rising optimism about the economy, even amid low approval ratings for Trump. It also illustrated the bond between the president and his base. Among respondents who said they voted for Trump, 94 percent approved of the job he is doing, and just 2 percent regretted their choice. Though Luzerne County had not voted for a Republican presidential candidate since 1988, its demographic profile is a close match for the kinds of places Trump won. It's heavily white and blue collar. Just 22 percent of adults older than 25 have earned a college degree, according to the U.S. Census — about 7 percentage points lower than the state average. More than one in five county families with children lives in poverty, 5 percentage points above the state average, and 9 points higher than in 2000. Per capita income hovers just over $25,000, about $4,500 less than the state average, and the unemployment rate is above 6 percent. The county also is dependent on blue-collar work. A report from Emsi, a labor-market advisory firm, studied six Rust Belt states — Pennsylvania, Ohio, Indiana, Michigan, Wisconsin, and Minnesota — and found that counties such as Luzerne with a higher-than-average concentration of manufacturing, mining or agriculture jobs were much more likely to back Trump, especially where those jobs were declining. The study estimated that Luzerne County had lost 34 percent of its manufacturing jobs between 2001 and 2016. "It's not a story of big plants packing up and going overseas," said Andrew Chew, research and policy analyst at Institute for Public Policy and Economic Development in Wilkes-Barre. "There's been some outsourcing, but the decline began decades ago and most of it is because of automation and other things. 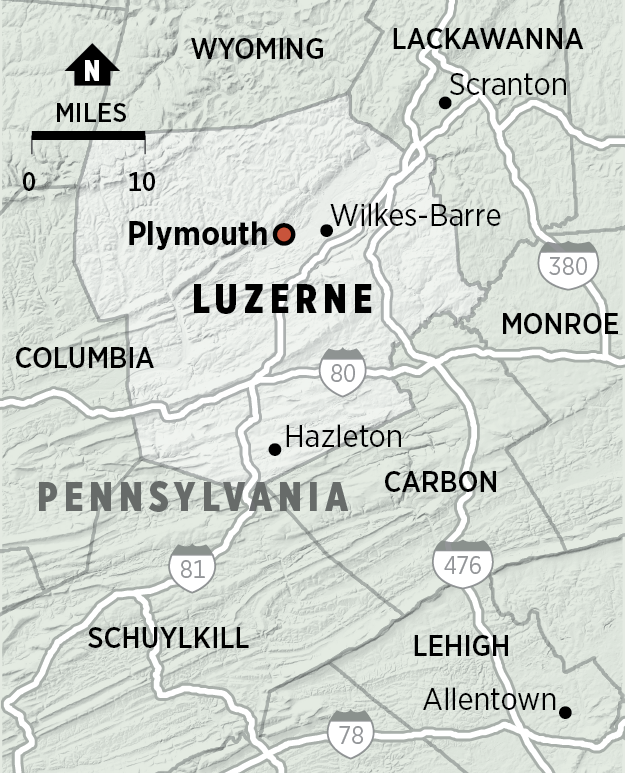 Luzerne, until the 1950s and '60s, was driven by coal and related industries, such as railroads. But that declined to near nothing as the industry shifted to hotter-burning variety of coal found in western Pennsylvania, West Virginia, Kentucky, and several western states. The county has lagged the state and nation in economic indicators since then, Chew said. Positioned at the confluence of Interstates 80 and 81, within a relatively short drive of the East Coast megalopolis, Luzerne County in the last decade or so has been sprouting warehouses and increasing jobs in logistics and trucking. Those jobs tend to pay $12 to $15 an hour, versus $25 to $30 an hour for a manufacturing job. "A lot of people have felt this area is left behind," Chew said. "They haven't had the opportunities and have seen growth go to other regions. People are frustrated, and that could explain the appeal of a candidate who promised things would be like they were years ago." Other analysts noted an influx of illegal immigration in Hazleton, in the southern part of the county, much of it from Mexico, and a recent increase in minorities moving from New York City area to Wilkes-Barre contributing to a lower cost of living. The Hispanic population in Luzerne County has doubled in the past decade. 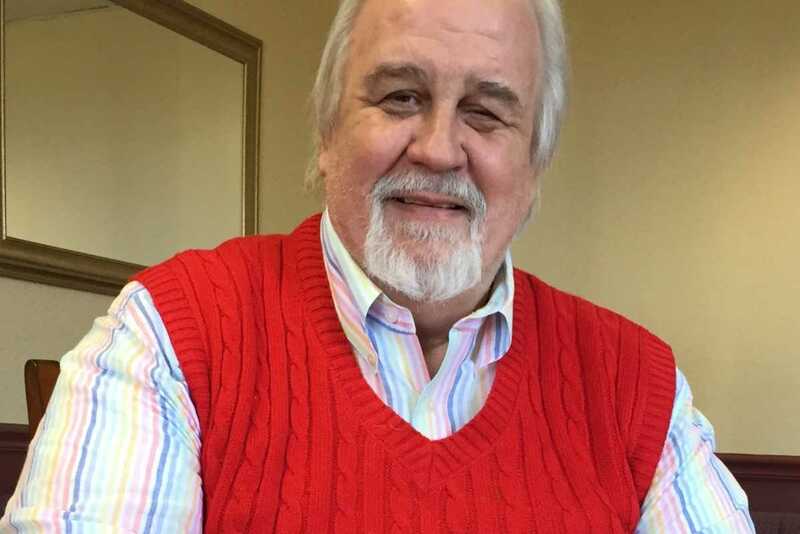 George R. Shadie, a financial consultant from Wilkes-Barre who campaigned for Trump and went to the inauguration, says the president has had a good overall 100 days ascending the "learning curve" of the presidency. To George R. Shadie, a politically active financial consultant in Wilkes Barre, Trump's move to drop his demand for border-wall funding in the bill to keep the government running was a sign of flexibility rather than weakness. And he blames the House leadership, not Trump, for failing to handle the repeal of the Affordable Care Act deftly. "He's learning the intricacies of getting legislation passed in Washington," Shadie said. "He's on a steep learning curve." Yet Shadie admires Trump's decisiveness in reacting to the regime's chemical attacks on its own people in Syria, after years of restraint under Obama. And because of Trump's working closely with China instead of confronting it, the Communist government is exerting pressure on its client state North Korea, he said. "Our attitude as a country has changed dramatically," Shadie said. "A lot of his accomplishments have been psychological." Rep. Lou Barletta, a Republican who represents the county in the U.S. House, said that Trump has "exceeded" his expectations and has accomplished dramatic things in rolling back legislation — in the face of a relentless media barrage. "I don't know if people could be any angrier at the media," Barletta said, describing what he hears from Trump-supporting constituents. "Every day [the media] try to find problems with him. Every day, the world is going to end because of something he did or said. It wears on people." Everything is happening so fast — or at least that's how it feels trying to follow politics these days. You've seen the headlines about President Trump and his policies — but what do they mean for Philadelphia? What does that mean for you? We're launching a newsletter to explore just that. Sign up here.